Custom printed peace neon sunglasses make a best promotional choice for advertisers who wish to embark on all time marketing campaigns. There are advertisers who wish their brands to be seen at all times. 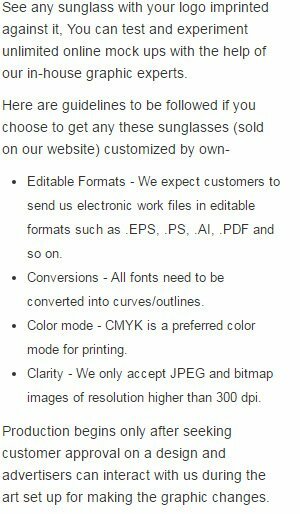 We offer these custom printed peach neon sunglasses in 4 colors and advertisers can choose from them according to preferences. Huge discounts are offered on bulk purchases.